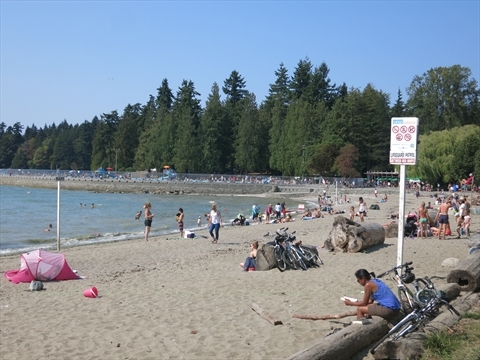 Second Beach is one of the most popular beaches in Stanley Park. It is good for swimming and sun-bathing in the summer months. There is a lifeguard on-duty during the summer. There is a cConcession Stand and Washrooms at Second Beach. It is also next to Ceperley Park with it's 2 playgrounds, and field where many people picnic. 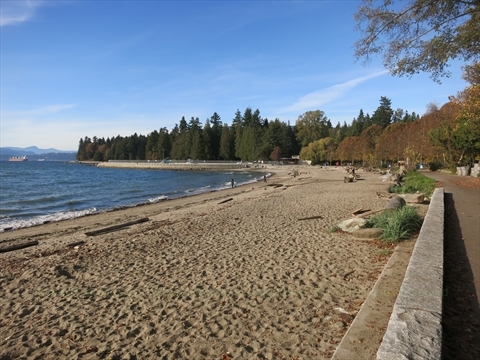 Where is Second Beach in Stanley Park? 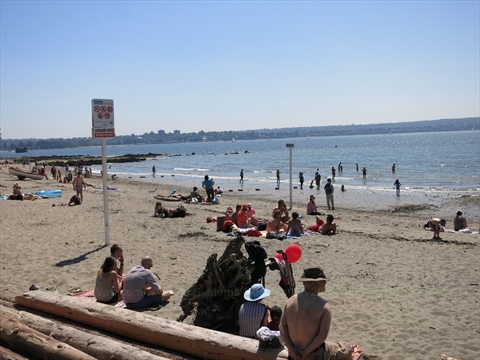 Second Beach is located on the south-west side of Stanley Park between English Bay Beach(aka. 1st Beach) and Third Beach. 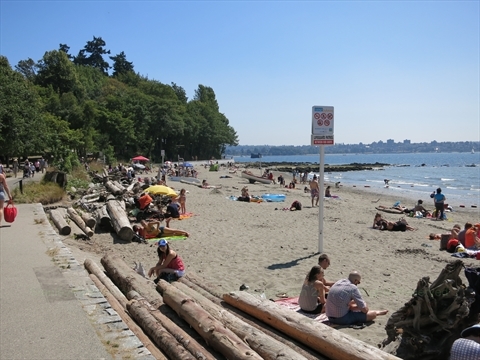 Where can you park for Second Beach in Stanley Park? 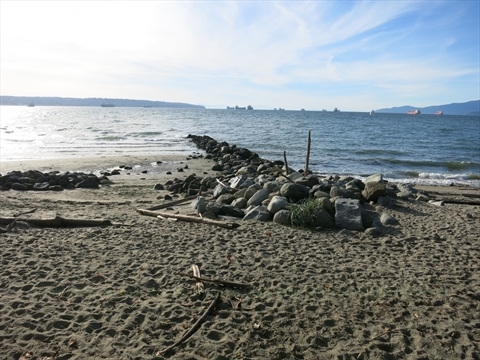 How to get to Second Beach in Stanley Park? 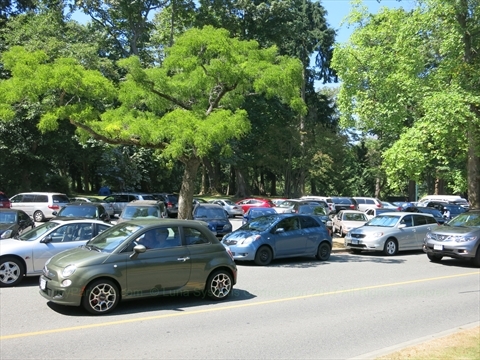 By Car: Enter Stanley Park from the Beach Avenue entrance and continue for about 1km. 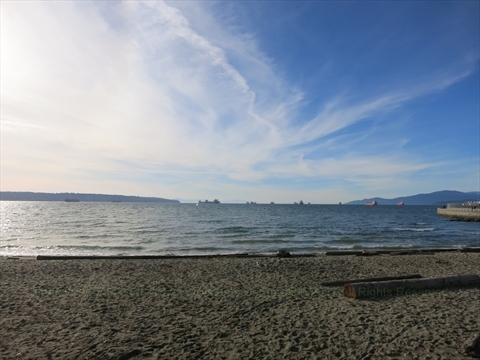 By Walking: From English Bay, walk west along the Stanley Park Seawall for about 1km. By Bicycle: From English Bay, take the bicycle path ABOVE the Stanley Park Seawall for about 1km. By Bus: Take public transit to the corner of Denman St. and Davie St. which is at English Bay. Walk or Bicycle from there. 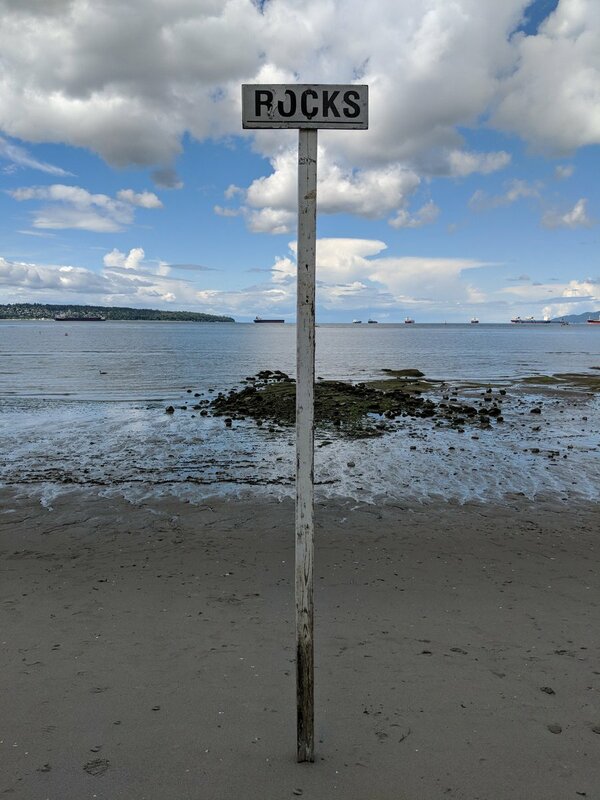 What else is located near Second Beach in Stanley Park? 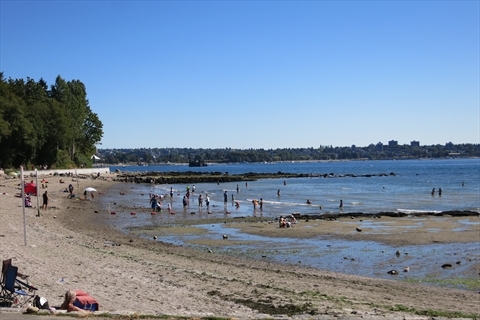 Second Beach is right on the Stanley Park Seawall and Ceperley Park. There is a concession stand there. Also, there is the Second Beach Outdoor Swimming Pool and Air India Memorial close by.